Their first album was released by De Scalzi's label Grog, one of just five releases on this collectible label, with help from various artists from Genova such as Vittorio De Scalzi, Ciro Perrino and Leonardo Lagorio from Celeste, Renzo "Pucci" Cochis from Jet. 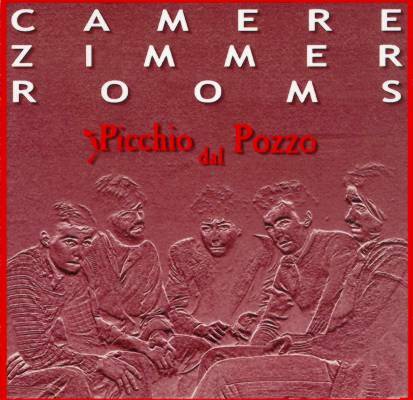 Their four years break has been recently documented by the CD Camere Zimmer Rooms, with very good quality recordings from the 1977-80 era, an interesting release with a very nice introducing track as Il Presidente with irreverent lyrics on the then President of Italy. Their second official album was made in 1980, this time on L'Orchestra label after their collaboration with Stormy Six and the Rock in Opposition movement. Another interesting album, still with complex rhythm changes and various influences, this also had a flexi single included. Many of the musicians involved in Picchio dal Pozzo have followed their career in the later years, and a new four-piece line-up, featuring De Scalzi, Griguolo, Lugo and Di Marco, has released a new album in 2004. 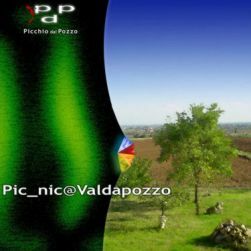 Called Pic_nic @ Valdapozzo this contains some recordings from late 2002 based on some sampled unreleased vocal experiments by Demetrio Stratos, who briefly assisted the band around 1979. An instrumental album for the most part (except for the Stratos experiments and a single vocal track), this is far from their older albums though it keeps a good quality. Some of the typical sound the group had created in the 80's is still there, though the album is closer to jazz and relies much more than in the past on improvisation, the surreal lyrics of the earlier albums are sadly missing. 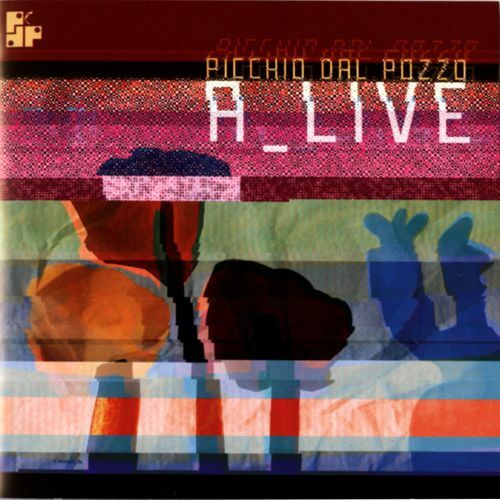 The nice A_live CD, issued in 2010, contains a live recording from the 2008 AltRock Festival in Sesto S.Giovanni (near Milan), where Picchio dal Pozzo were aided by the musicians of Yügen. A DVD issued in 2014 contains the recording of a concert held at La Claque in Genova in January 2011. Along with his activity with Picchio Dal Pozzo, Aldo De Scalzi also had a long career as composer and producer. With his long time collaborator Pivio they composed many film soundtracks, gaining quite a few important awards. The Picchio dal Pozzo albums are both hard to find. First one comes with a gatefold cover, second one in a single sleeve with a lyric 12"x12" insert. 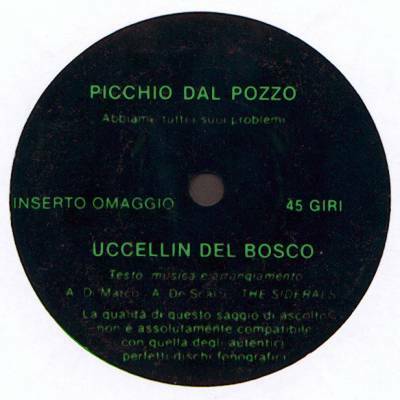 Originally Abbiamo tutti i suoi problemi included a one-sided 7" flexi disc with the unreleased Uccellin dal bosco housed in a plain white diecut cover. The LP contained, in the original shrink, a small card advertising the single, with the text “contiene 45 giri in regalo” [includes free 45rpm single]. This is by far their rarest item as most copies around seem to have lost it. The same track was also included in two compilations, Raccomandato di vinile by L'Orchestra and on the English Recommended label sampler, a 2-LP set with many contemporary avantgarde artists from all over the world housed in a nice clear plastic cover with inserts. - the solo flute part that opens Napier is included in integral version with the title Flauti atonali on the Background - Musiche di atmosfera (Magma SMAG 01) LP, which also contains the instrumental base of Seppia renamed Aggeggi savana. - the instrumental base of Cocomelastico appears with the name Multistrati on the LP Musiche di sensazioni (Magma SMAG 02). The reissue of the debut album released in 2011 by Goodfellas contains, in the CD version only, an unreleased bonus track, Seulement, recorded live in La Spezia in 1979. Both album have been reissued in Japan (King K22P183 and K22P243) and the first one in Korea as well (SiWan SRML 2005). No counterfeits exist. 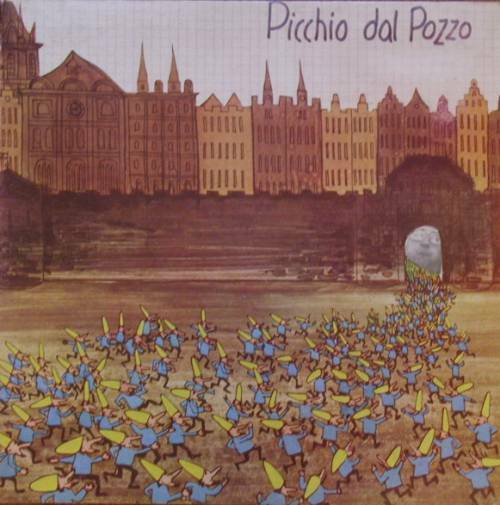 Picchio dal Pozzo has had a 2003 CD reissue by the Japanese label Arcangelo (ARC-7027) with a mini-LP cover. This is also part of an 8-CD box set dedicated to Grog (that includes in fact only three Grog releases along with five albums originally on Magma). 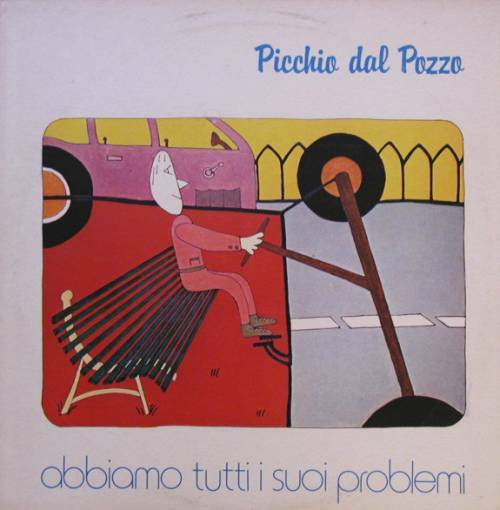 Second LP Abbiamo tutti i suoi problemi was reissued by the UK-based ReR Megacorp on CD in 2006 (cat.no. ReRPdP) and on vinyl in 2016 (cat.no. ReRPdPV).